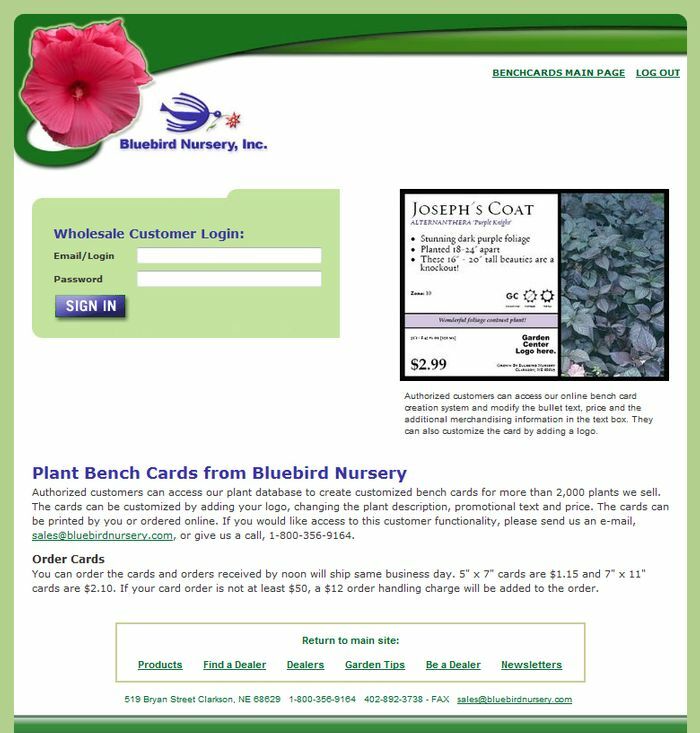 The new website allows authorized Blue Bird Nurseries to login and modify plant bench cards to print themselves or order online. 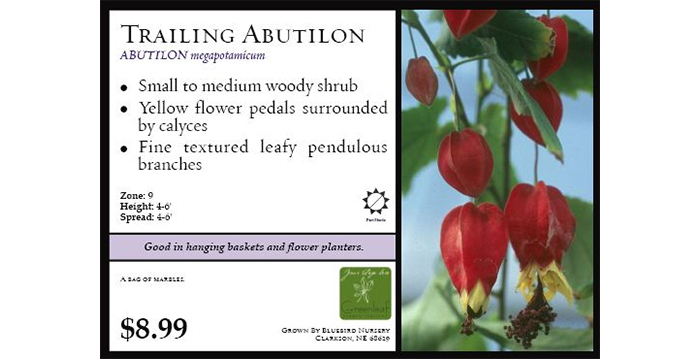 Users can change the description, "call out" text and pricing. 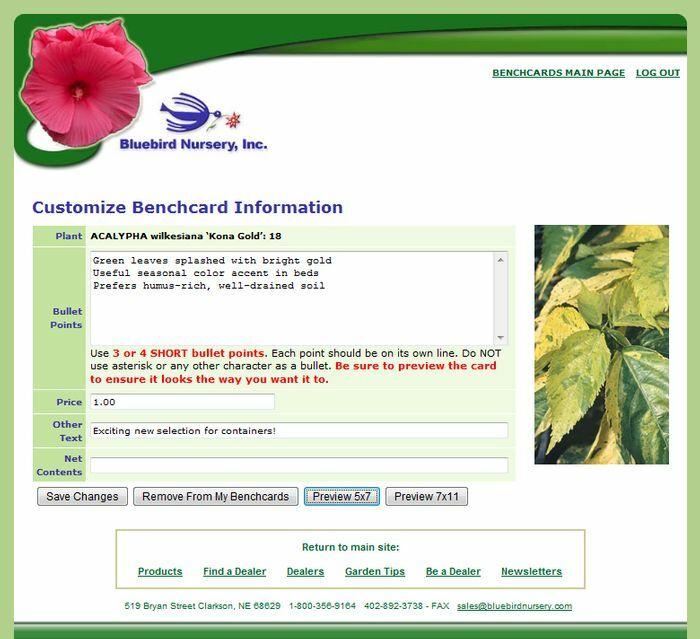 They can also have their logo display on all cards they customize.